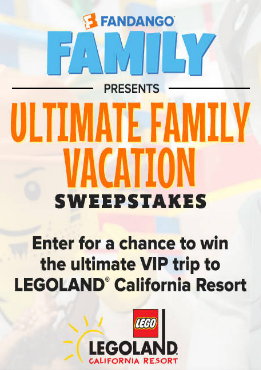 Hallmark Channel® Countdown to Christmas Sweepstakes – Win a trip to Legoland! ENTRY LIMIT – Limit: One (1) entry per person per day and three (3) Bonus Entries per person per day, regardless if the entrant has more than one email address. 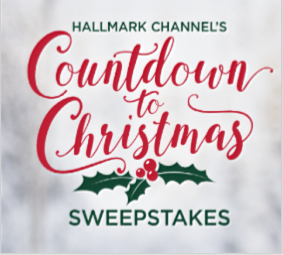 SWEEPSTAKES ENTRY PERIOD – The Hallmark Channel® Countdown to Christmas Sweepstakes begins at 9:00:00 AM Pacific Time (“PT”) on Monday, October 22, 2018 and ends at 8:59:59 PM PT on Tuesday, December 25, 2018. 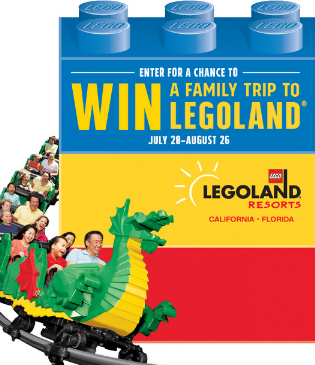 PRIZES – Grand Prize: One (1) Grand Prize winner will be awarded a trip for four (4), winner and three (3) guests, to either the LEGOLAND Resort in Florida or California. Actual value of the Grand Prize Package depends on location of winner’s departure airport, fares at time of travel and land accommodations. If actual value of the trip is lower than ARV stated herein, the difference will not be awarded. 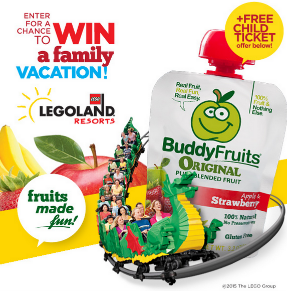 Four (4) airline vouchers, or a credit, for an airline selected by LEGOLAND valued at $250 each. Hotel accommodations for four (4) people (in a single quad occupancy room) for (two) 2 nights. All taxes related to accommodations and air fare. Total ARV of Grand Prize: $4,000.00. 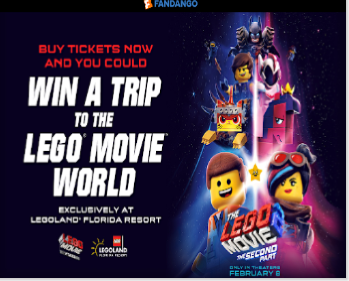 First Prizes: Ten (10) First Prize winners will be awarded four (4) tickets to the Legoland Discovery Center closest to the winner’s residence as determined by Sponsor. The ARV of First Prize is: $96.00 each. The total ARV of all First Prizes is: $960.00. The total ARV of all prizes is: $4,960.00. WINNER’S LIST – For a written confirmation of the winner (available after 01/02/19), send a stamped, self-addressed envelope (no later than 01/31/19) (postage not required for VT residents), to: Hallmark Channel® Countdown to Christmas Sweepstakes, Winner Confirmation Request, PO Box 25466, Rochester, NY 14625-0466.